QUA provided EnviQ® Submerged MBR technology to treat feed water with high organics for a process water application. The solution designed consists of 12 EnviQ® 32C units in two streams, with a 24 total units installed. 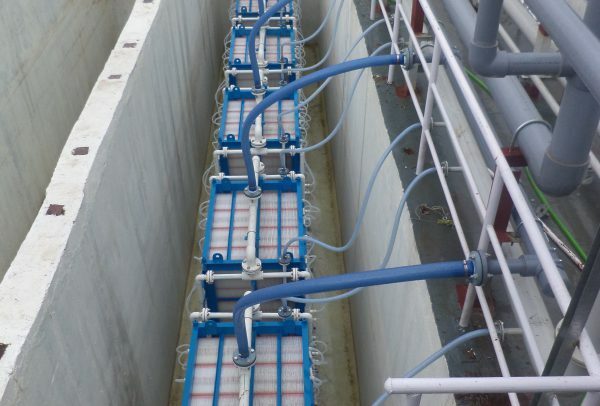 The system treats 4 million liters per day (MLD) for use as process water for the pharmaceutical plant’s operation.EnviQ® is a unique patented technology that combines the ruggedness of flat sheet membranes with ultrafiltration quality water. Due to their lack of an external frame, the membrane cartridges are able to withstand harsh conditions while minimizing biofouling, which is very important due to the high BOD nature of this water.